Contact Tech Studio Mac and PC Repair whenever you have problems with your MacBook screen. Our technicians have years of experience with every kind of Apple product, including their flagship laptop models. Depend on us for affordable, quick laptop screen repairs and replacements. Wherever you are in the Los Angeles area, Tech Studio in Mar Vista is easy to find. We're open 6 days a week for your convenience, with emergency service 7 days a week. Tech Studio works hard to save our customers money. 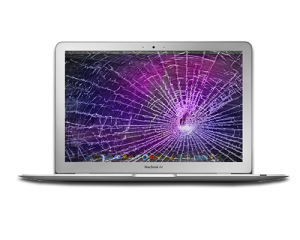 We provide the highest quality laptop screen repair services, often for considerably less than you can get at the Apple store. We understand that keeping your MacBook in working order is important to you, but so is staying within your budget. Tech Studio also takes pride in our prompt and friendly service. We know that your time is just as important as your money, and we make every attempt to save you both. Be sure to have any problems you have with your screen fixed as soon as possible. Malfunctioning pixels or cracked glass can create larger problems if they aren't addressed quickly. Even small cracks in the glass have a way of increasing even under slight pressure. Damage to the glass can cause problems with screen functions. 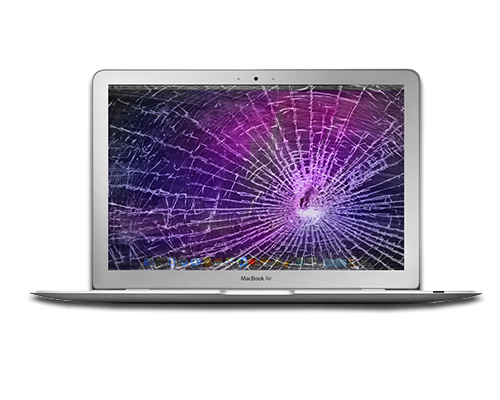 Don't make the mistake of thinking that a broken screen means your MacBook needs to be junked. 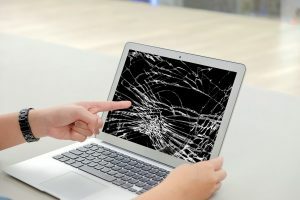 The screen can be replaced for a fraction of the cost of a new computer, and your MacBook can function like new again. When we perform this repair, we will source an entire new replacement LCD assembly for your system, so if your MacBook Pro has some scratches on the screen backing, those will be gone too! The staff members at Tech Studio work hard to avoid making you feel anxious or intimidated about problems you have with your computers. We answer all your questions in plain language instead of technical jargon, and make sure you understand the explanation before proceeding with your repair. Then we'll fix your broken MacBook screen as quickly as possible. Contact Tech Studio Mac and PC Repair in Los Angeles today if you have problems with the screen assembly on your Apple MacBook or MacBook Pro. We're conveniently located at 12417 Woodgreen Street in the Mar Vista neighborhood, close to the Santa Monica Airport. We have plenty of free off-street parking that makes getting in and out a breeze. Don't put up with a cracked or malfunctioning MacBook screen another minute. Bring it to Tech Studio and we'll have it looking and working like new in no time!